* Listed in Woodward White’s “The Best Lawyers in America.” Best Lawyers is regarded as the definitive guide to legal excellence in the United States because its recommendations are based on an exhaustive peer-review survey and because lawyers are not required or allowed to pay a fee to be listed. * Diplomate of the American College of Family Trial Lawyers. The College is a select group, limited by charter to the 100 top family law trial lawyers from across the United States. Diplomates are chosen based upon their recognized litigation skills and courtroom abilities. * Fellow and Past President of the Northern California Chapter of the American Academy of Matrimonial Lawyers. The AAML is a national association of the nation’s top family lawyers. * Fellow of the International Academy of Matrimonial Lawyers. The IAML is a worldwide association of practicing lawyers who are recognized by their peers as the most experienced and expert family law specialists in their respective countries. * Certified Family Law Specialist, State Bar of California Board of Legal Specialization. California attorneys who are certified as specialists must have taken and passed a written examination in their specialty field, demonstrated a high level of experience in the specialty field, fulfilled ongoing education requirements, and been favorably evaluated by other attorneys and judges familiar with their work. Mr. Sucherman is a member of the Bar Association of San Francisco, the State Bar of California (Chair of the Family Law Section in 1990), and the American Bar Association. Member and Past President of the Association of Certified Family Law Specialists. Mr. Sucherman is a frequent lecturer, speaker and panelist on family law issues. 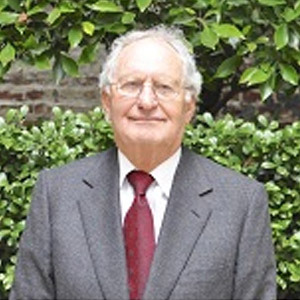 Mr. Sucherman graduated from the University of Michigan in 1952 and studied law at both the University of Michigan and Brooklyn Law School, receiving his J.D. in 1957. Mr. Sucherman and his wife, Janice, have been married for over 50 years and have two sons, Greg and Matthew, and two grandchildren, Evan and Lily.